Last night my insomnia woke me up just in time to catch the re-run for Project Runway’s season finale. 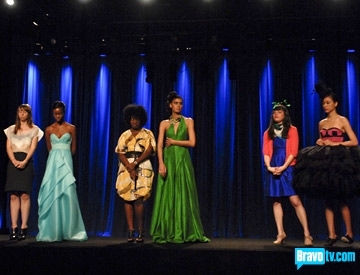 One of these days Bravo had a PR’s marathon and I was able to get to know the designers and their, let’s say, interesting personalities and styles. Jerell and Leanne were my favorites from the start. Kenley had her thing going and it was a little sad to see her overly obnoxious character destroy whatever compliments you had for her pieces. Suede and Stella were a joke. I liked Blayne‘s and Korto‘s creations a lot, but not enough to cheer for them until the end. I missed the episode before the final fashion show, so I was surprised by Jerell’s absence in the finale. The guy had class and taste in every garment and I thought that maybe he should be in Kenley’s place, but oh well. 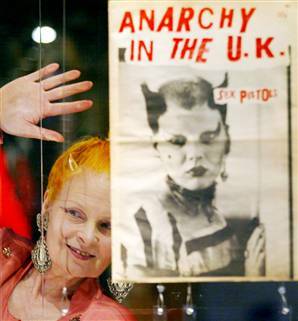 In other related news, a movie about Vivienne Westwood’s life is about to come up. Kate Winslet is set to portray the designer that, back in the late 70’s, decided that plaid skirts, pins and leather jackets would forever symbolize the punk rock generation.